Most people are on some sort of budget, right? More often than not, skin care is one of those things that has to fall to the wayside. Even if you are on the smallest budget, you can still take care of your skin! 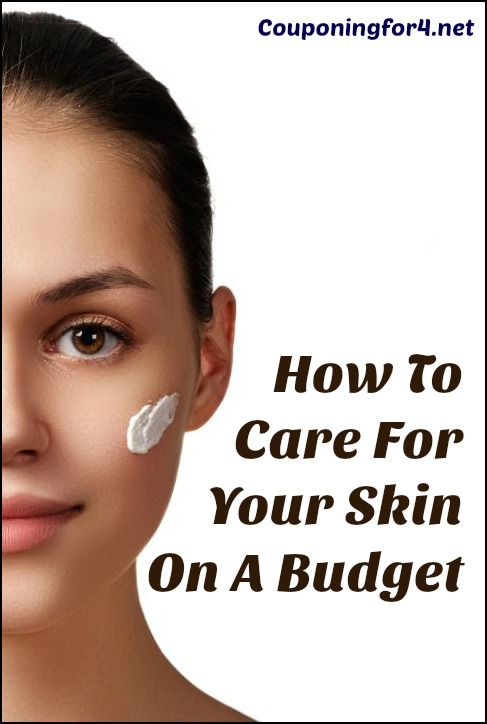 Here are some tips on how to get skin care products and care for your skin on a budget. One of the best things that you can do for your skin is wear sunscreen. Aging and leathery-looking skin comes from not wearing sunscreen and being out in the sun too often without protection. The single best thing you can do for your skin, on a budget or not, is wear sunscreen. While there is a shelf life to sunscreen, you should have a good year from the date of purchase. Stock up on sunscreen when it is on sale during the spring and summer months to keep your year-round costs down. Do you have skincare products that you love? Be sure to ask for coupons! Email a request for coupons to your favorite skincare companies. You’ll be surprised as to how willing they are to send them to their customers! After all, you are who keeps their company alive and running and they are usually happy to help you save a few dollars if they know that you are a loyal customer! Also, be sure to check the Coupon Database regularly to see if there are any coupons already available. Like most things in life, it’s much easier to prevent something than it is to deal with it when it’s at its worst. The same goes for your skin. Taking care of your skin now can really help in the future. You can avoid costly appointments to the dermatologist by taking only a few minutes each day. Cover some basics like staying out of the sun, using your sunscreen daily and moisturizing and you’ll cut many future costs! Wash Your Face – I know that this sounds obvious, but it is a step that many people forget. Wash your face everyday, twice per day. Do not go to bed with makeup on – your skin and pores need the overnight break. Using a gentle soap or cleanser and water is the most basic of ways to be kind to your skin. A Little Goes A Long Way – When I was a kid, I used to use a ton of conditioner because I thought it made my hair softer. Something I quickly figured out as an adult is that I didn’t need to use a lot to get good results. The same goes for skincare products. You don’t have to use a lot in order to get good results, so use what you need and you can spread out the extra to save money in the long-run. Create A Routine – It makes things much easier when you have a routine in place. Don’t buy this and that just to see how well it works. Buy one or two skincare items and stick to them. Use them once or twice per day (on a schedule that you set) and really pay attention to how much you are using at each sitting. Do you have a ton of extra lather when you’re washing with a cleanser? Cut it down by a third and see if it works just as well. Do this everyday, on your schedule, and you’ll be making the most of your money. Use All Natural Products – I know that we are trained to think that we have to spend hundreds of dollars to get great skin care, but using all natural products can be just as good! Using coconut oil on your skin is a great way to keep it moisturized. Keep in mind that you can grab a container of coconut oil from Aldi for under $7 (depending on where you live) and it will last for a long time. Raw honey is ideal for acne and will cost significantly less than the more expensive acne products that you’ll find on store shelves. Some of the natural products can cost a little bit more up front, but they last a really long time. Use Tried And True Methods From Years Ago – A hundred years ago, people weren’t rich and they did what they could to make their skin look nice. Women would bathe in milk, use aloe vera on their face, and a mixture of herbs and plant compounds on their skin. If it worked for them, why not give it a shot? Sometimes taking care of your skin means going back to the basics. You don’t need to have a million bucks in the bank in order to have great looking skin, you just need to put it a bit of extra effort. Do you have other suggestions of how to care for your skin on a budget? I’d love to hear them!